Whether a business imperative, casual interest, or fun, dive into your TextExpander usage statistics on TextExpander.com. These colorful charts and tables are visible to all users, online, regardless of whether you mainly use a Windows PC or a Mac. Love data? Export it all in CSV to slice and dice however you want. We’ve also updated the TextExpander.com menu for faster navigation. If you’re an Admin of your TextExpander Organization, we’ve enhanced your statistics. 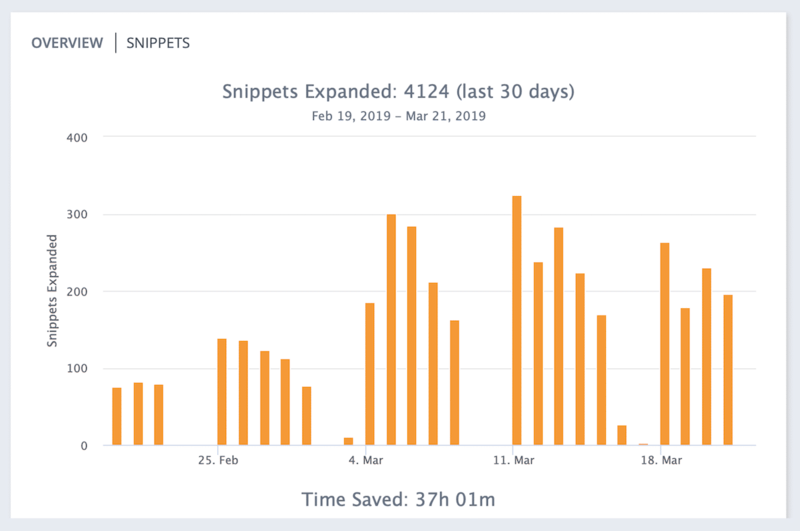 We’ve broken out your Users and your Snippets into their own tabs.